Winds reach 100 km / h. The most affected states are Rajasthan and Uttar Pradesh, where the administration has already announced compensation. Most of the victims died in the collapse of homes. Crops destroyed, cattle dead. 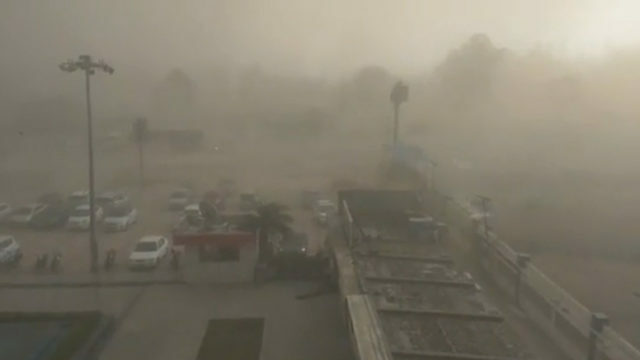 New Delhi (AsiaNews / Agencies) - At least 125 people have died and about 200 have been injured in dust storms that have hit the northern part of India. Winds of over 100 km / h are flagellating the states of Uttar Pradesh and Rajasthan, where the authorities advise the population not to venture out on the street. Andhra Pradesh has also been hit by bad weather that has caused several deaths. According to the Indian Meteorological Department, the storm could last for 48 hours. The gusts have uprooted trees, caused the collapse of many shacks built with mud, torn and knocked down light poles. In many areas the electrical network has been damaged and the lighting is interrupted. In Rajasthan alone, winds caused faults in 13,000 light poles and 100 power transformers. In cities, the storm created chaos in urban traffic and caused delays in rail transport. The worst situations are in rural areas, where hail after the dust has destroyed crops and livestock. Sanjay Kumar, emergency commissioner in Uttar Pradesh, reports that 165 heads of cattle were lost in the state, most of them cattle; in Rajasthan, another 250 animals.